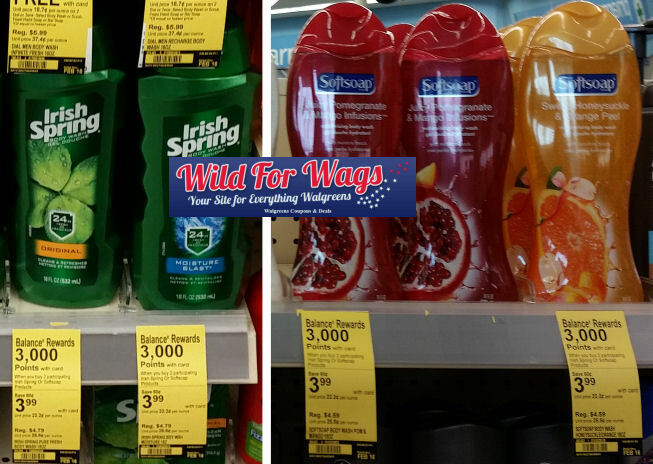 Irish Spring Body Washes $1.46 Each & More Deals! This week you’ll earn $3 (3,000 Balance Reward Points) for buying two Softsoap or Irish Spring Body Washes 15 or 18 oz bottles or select Irish spring bar soap 6 packs. These are on sale for $3.99. Check your Smartsource insert from this weekend for coupons or if you haven’t printed it yet, there is a a Softsoap Brand Body Wash coupon HERE. Next post: Suave Hair Care As Low As 60¢ Each OR Money Maker 2/13 & 2/14!